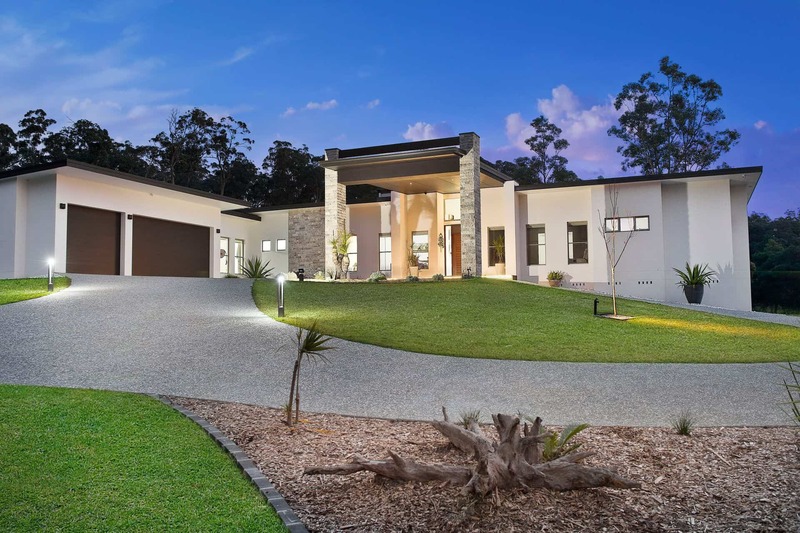 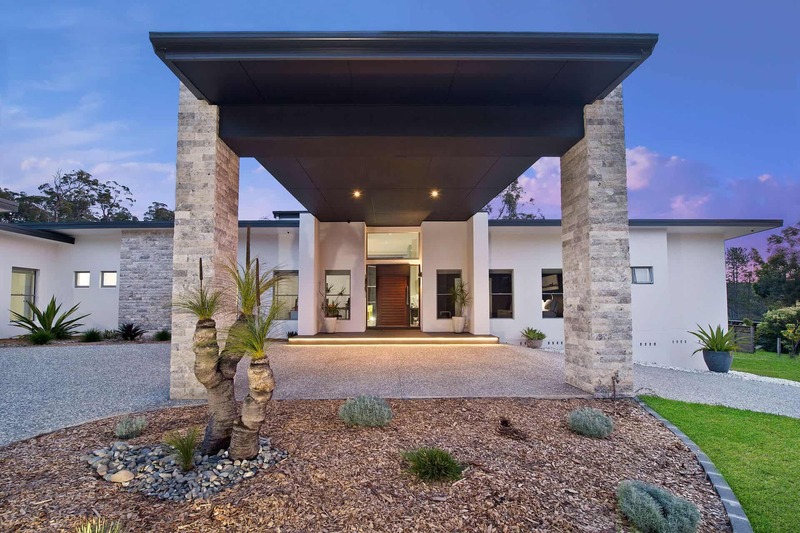 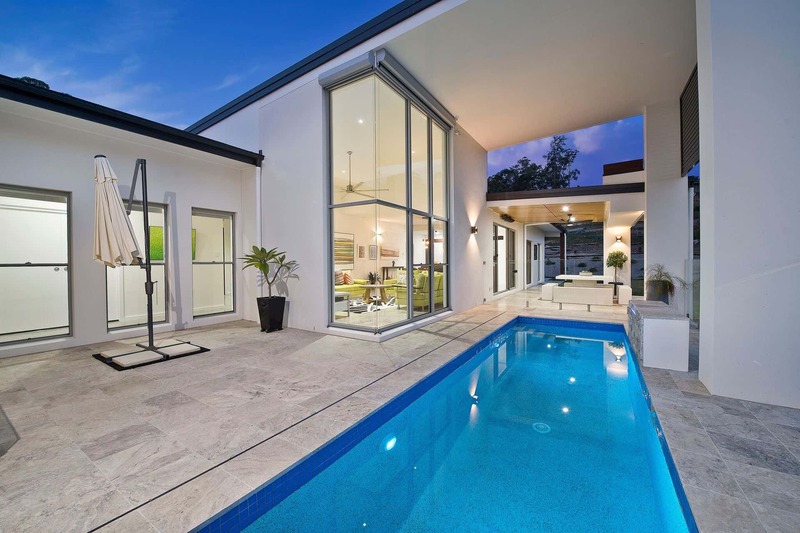 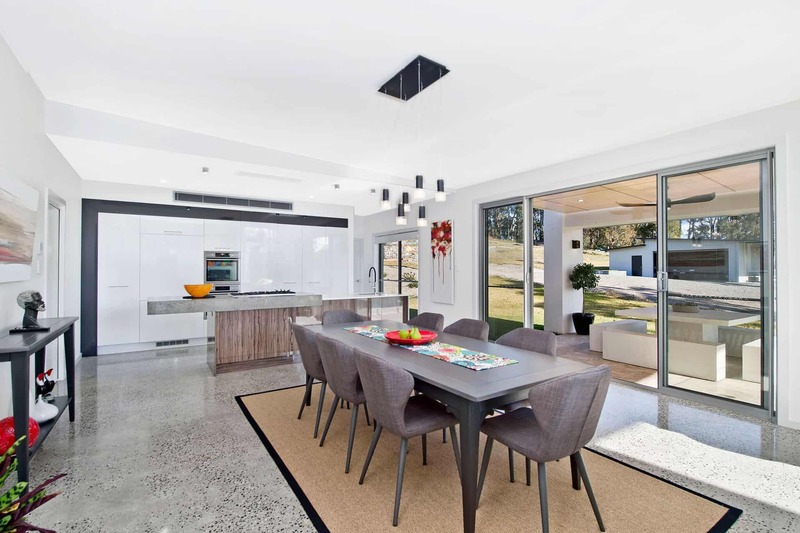 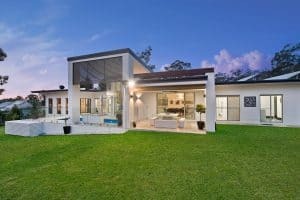 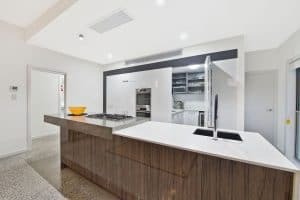 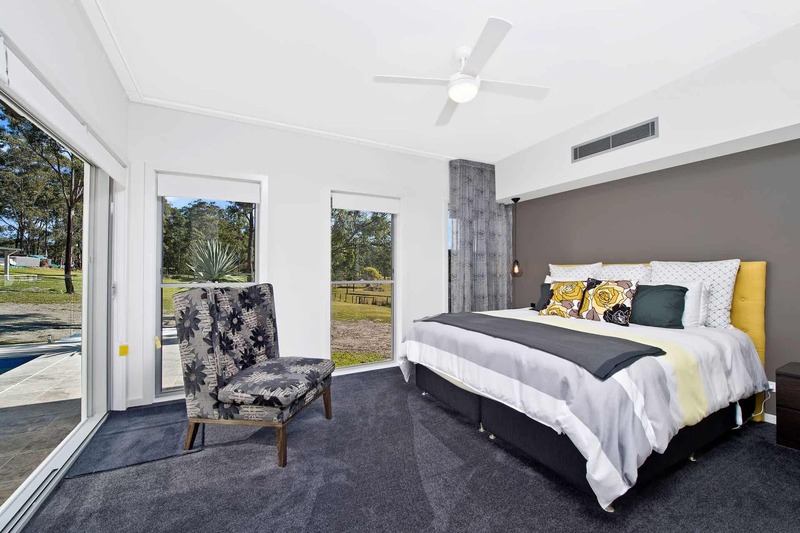 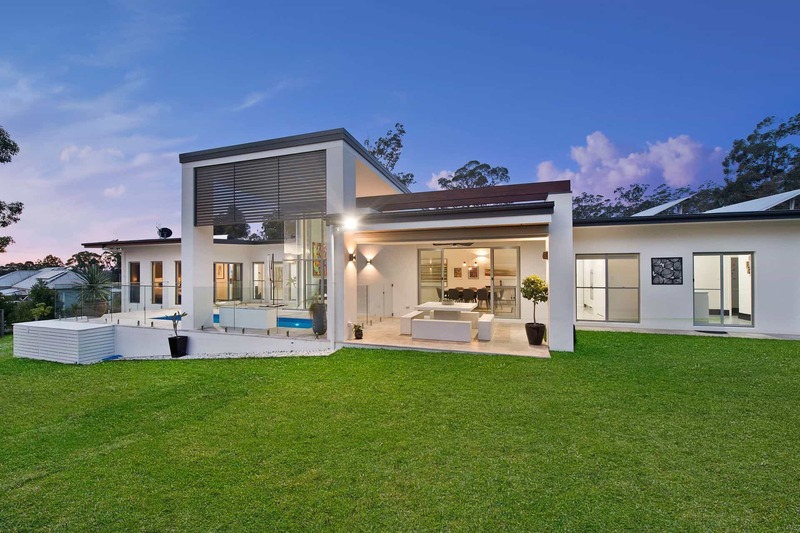 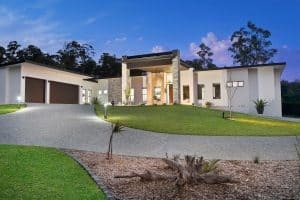 The owners of this impressive, modern contemporary home had some very specific requirements, both externally and internally when entrusting Shipway Constructions to build their dream home. 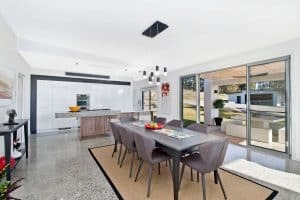 The home was built on a small acreage allotment taking full advantage of the scenic location whilst encompassing a wide range of quality finishes. 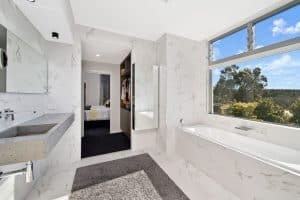 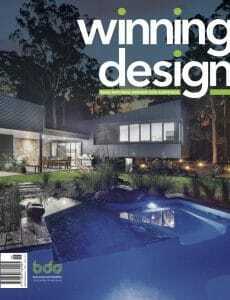 Specifically, the owners required an environmentally friendly, low profile home with clean lines, incorporating the use raw materials where possible. 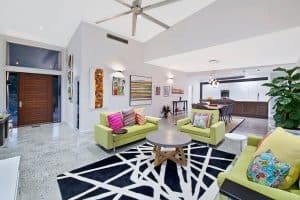 Another necessity was expansive wall spaces suitable for the display of their admirable art collection, together with a plunge pool adjacent to the living areas. 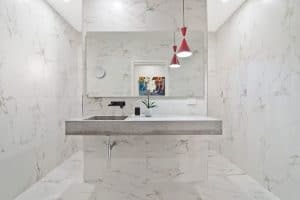 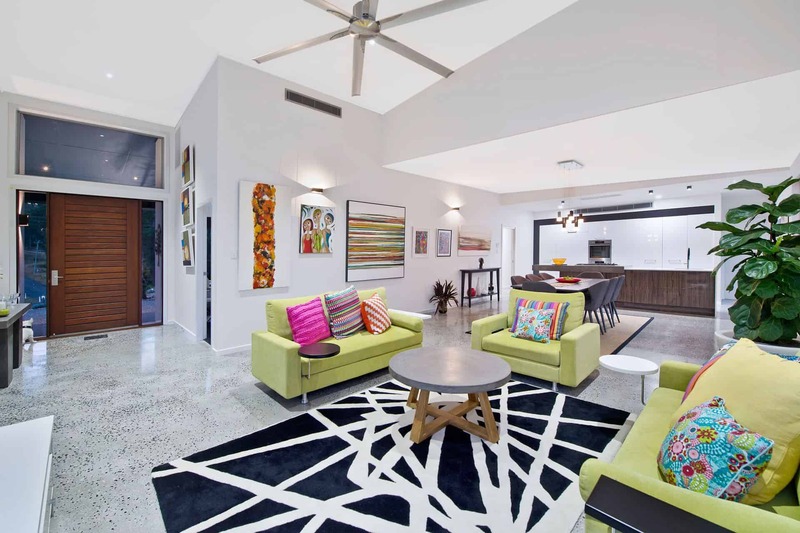 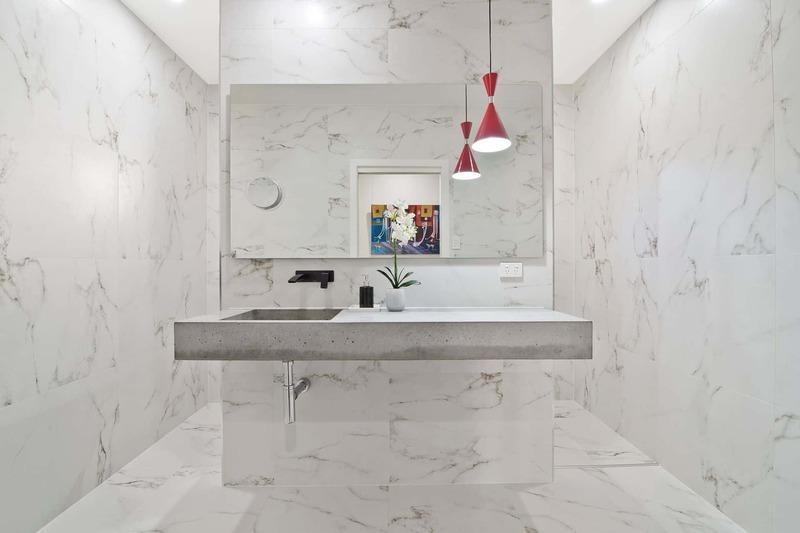 We were able to incorporate the use of polished concrete and feature stonework to complement the modern amenities and the finished product speaks for itself.